According to Drawdown, the transport sector has potential to reduce 51.01 gigatons of CO2 emissions. Those relevant to Northland are electric vehicles #26, electric bikes #69 and walkable cities #54. Transport produces 7 gigatons of carbon dioxide-equivalent greenhouse gas emissions annually, or 23 percent of energy-related emissions, which is around 14 percent of all emissions. In individual countries, transport can account for much higher shares, even 35 percent of all emissions. Growth rates in emissions for some subsectors like air transport and international shipping are very high, so the Transport Sector requires special focus to keep emissions from ballooning out of control, as some projections indicate. Transport, however, is a service derived from economic growth. We find that wealthier people travel more, locally and internationally, and demand more goods and services. So, as a country develops economically, movement of people and goods increases (Drawdown). The Economist predicts that 2018 will be a tipping point where the total cost of ownership of EVs becomes cheaper than fossil fuel powered vehicles, leading the way for mass adoption. Northland’s uptake of electric cars is impressive. Through the combination of our charging network and increased battery capacity in new EVs, range anxiety can be a thing of the past. Champions such as Joe Camuso of the NRC (below) and Russell Watson of Northpower have supported the growth of the EV fleet. The NRC and Northpower have had EVs in their fleet for some years now with the DHB and Whangarei District Council recently supporting the trend. Joe Camuso recently reported that NRC’s EV fleet travelled 6,000 kms at the cost of $90 of electricity. Northland organisations can support EV uptake by fleet purchases, providing power and parking for staff with EVs, and facilitating bulk purchases by staff. Three solutions combine together for significant impact on global warming. Electric bikes (#69) bike infrastructure (#59) and walkable cities (#54) have potential to reduce CO2 by 0.96, 2.31 and 2.92 gigatons respectively over 30 years. We see these solutions emerging in Whangarei now with the progress made on bike and walking tracks. New Zealand cities developed alongside the development of the automobile and even in Whangarei, congestion sees cars idling at intersections pumping out CO2 and other pollutants. Nick Marshall of the WDC estimates that the developing bike and walking network will enable the Council to defer some intersection upgrades for 10 years. 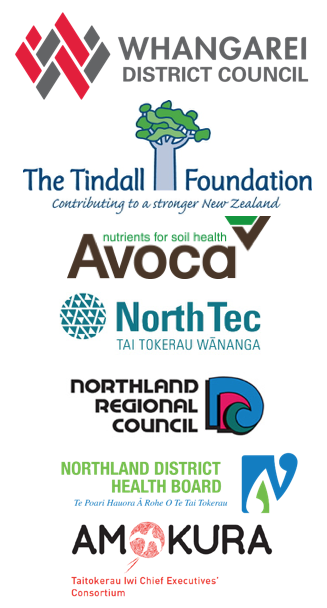 What are the best strategies to accelerate uptake of EVs in Northland? What are the opportunities for EVs in agriculture? How does regional and district planning need to evolve to support biking and walking? How can this solution be implemented in a manner that supports vulnerable populations?